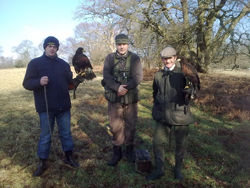 Our falconry courses are designed to be fun and informative and are run by experienced and professional falconers. We operate throughout the year, weekdays and weekends. 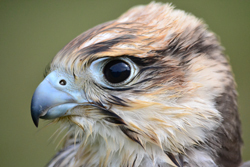 Located in Surrey and Kent with access to over 600 acres of countryside we guarantee not only excellent hawking but also a true wildlife experience. For all experiences a good, general level of fitness is required. 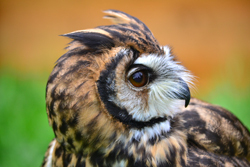 Now you can have the opportunity to meet, hold and even fly a wide selection of owls from around the world. 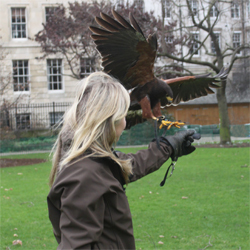 Experience the thrill of getting up close and personal with some of the most charming and magical birds of prey! 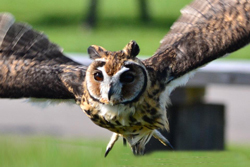 This one hour experience brings you hands on with up to 4 different species of owl. Make sure to bring a camera and to wear suitable outdoor clothing and footwear. Maximum six people per session. Spectators are allowed at £20 each payable on the day. Come and experience a walk with a difference! Join us for a stroll within some of Surrey’s finest woodland, all the while being followed by one or two of our highly trained hawks. A camera is a must as our feathered companions follow us from tree to tree, before swooping down from above to alight gracefully upon your arm! *Please note* This experience runs for approximately an hour and a half and does include a reasonable degree of walking over uneven terrain. Maximum four people per session. Refreshments and all equipment provided. If so then join us in the heart of some of Southern England’s most scenic countryside, living these experiences first hand on this action packed experience! *Please note* This experience runs for approximately 4 hours and does include a reasonable degree of walking over uneven terrain. Maximum 4x people per session. Spectators are allowed at £25 each payable on the day. 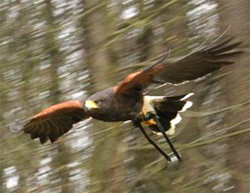 Photographing birds of prey in the wild can be incredibly challenging, especially capturing them in flight. On our photo days we can give you the opportunity to practice those techniques in a controlled environment with our trained raptors utilising natural backdrops. Static and flying sessions available either inside or out. Our photo sessions can take place at a venue of your choice (subject to our prior approval) or alternatively for a small extra fee we can provide a venue suitable for the session. We typically start with a static selection of raptors which can be positioned against natural backdrops. We then move on to the flying! Maximum twelve people per session. We have travelled across the country providing displays for corporate events and large international shows. Our flying displays include full informative commentary with audience participation. 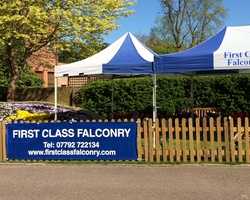 We provide are own gazebos, PA systems and all other equipment required. Please call for further details and to discuss how we can help make your event a success. Our birds are always available for film shoots, fashion photograhy and creative ideas. 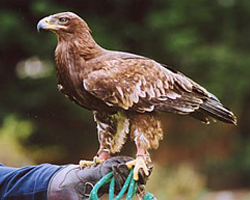 We can offer pest control services with birds of prey for pigeon and gull control. 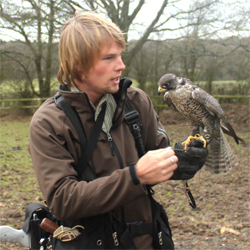 First Class Falconry is run by Alan Greenhalgh, he has a life long passion for birds of prey and had his first kestrel when he was 12 years old. 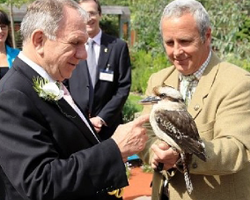 Flying many birds since then he now has a first class team of birds including falcons, owls, hawks, an eagle and a Kookaburra. 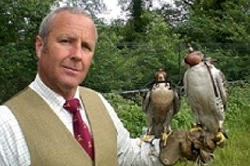 Alan has over 35 years experience of flying, hunting and looking after birds of prey.